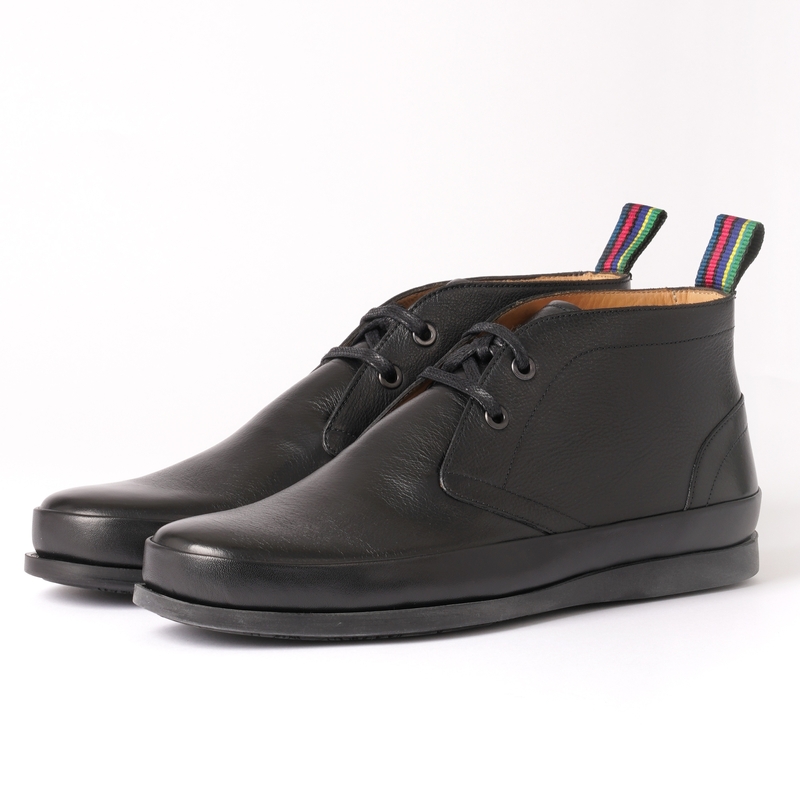 A high quality feature from this season's PS by Paul Smith footwear collection the Cleon Boot draws the eye in a classic Chukka Boot silhouette that will be perfect smart smart casual occasions over the course of the coming months. Boasting a Black Calf Leather upper that has been finished with a grain texture the boot sits on a comfortable Rubber sole with enhanced foxings for a unique feature. Detailed with a signature "Cycle Stripe" grosgrain heel pull, an embossed PS by Paul Smith logo to the tongue and an embossed floral pattern to the outsole try teaming with a pair of selvedge denim from the likes of Edwin for optimal performance over the coming months.